Is your tenant behind on rent? Has your tenant violated terms of your lease agreement? Our service Kendall Florida Eviction will get results and protect your investment. The best solution to your tenant issues throughout Kendall and the West Kendall FL area is hiring the right representation to handle your eviction, whether that be an eviction attorney or a real estate professional, as allowed by the Florida state law. A Kendall eviction attorney will help you throughout the entire eviction process, and will save you money and time at the end of the day. The eviction process can be complicated, so understanding how the law applies to your situation is important. You should have a basic understanding of real estate law, what goes into dealing with the tenant, and exactly how to handle the process of evicting a tenant in Florida. You must be careful and sure each step of the way to avoid more serious issues later on. Realty World® the M Realty Group is a Florida based professional real estate organization and attorneys with years of combined experience and expertise in managing properties, handling evictions, and all other facets of real estate in Kendall and West Kendall neighborhoods. When working with Realty World, you can be confident that you and your property have the best representation in the Kendall area as possible, with a friendly, competent, and professional staff devoting their time to you. The M Realty group has an in-house real estate attorney that is available in any situation that may require one. You can rest easy knowing that there’s an entire team working to get you the money you deserve, or the property that you own, in a timely, professional, and friendly fashion. Need help evicting a tenant in Kendall or West Kendall Florida? As real estate professionals, we understand the legal issues that come hand in hand with evicting a tenant. We know the games that tenants can play, as we have years of experience in dealing with troublesome tenants and the headache performing evictions. After years of dealing with evictions, we know how to get the rent, and we know how to get the tenant out of your property if necessary. When you work with us, we’ll provide your tenant with a formal eviction notice, whether that be a 3 Day Notice to Vacate or a 3 Notice to Pay or Quit. This is going to help your tenant understand that they are now dealing with professionals, and not just the landlord whom they feel has a soft touch and they can press to the limits. Once your tenant recognizes that you’ve handed the situation over to an eviction real estate professional, they will understand that you’re serious, and not to be played with. They’ll begin to understand that it’s time to make a choice: pay the rent, move out of the property, or get evicted. But of course, there are difficult and stubborn tenants that do not want to leave the property under any circumstances; That’s where we come in. Not only do we understand real estate law, but we know exactly how to go about getting your tenant evicted from your property. Florida courts have clear and concise instructions on how to perform an eviction, and getting this wrong when it comes time to go to court, can land you in deep trouble. Avoid any problems handling your next eviction by letting us handle it. Call 305-328-8550 and find out how we can help. 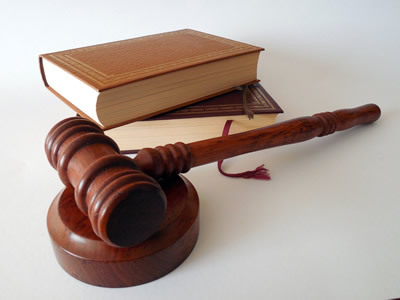 When Is It Time To Seek The Services of An Eviction Attorney in Kendall Florida? If your tenant has not been paying the rent for a considerable amount of time, you will want to seek our services with an eviction attorney or real estate agent. If your property is located in Kendall Florida or West Kendall FL, and you need to evict a tenant, we’ve got the necessary experience to complete the job for you. Stop losing money each month because of a tenant that refuses to pay. Don’t wait a minute longer and take action now. Call us for a free consultation about how we can help you start the eviction process. Call 305-328-8550 to receive assistance in evicting your tenant. The attorneys in our offices have years of success, and numerous examples of properly executed tenant eviction, which returns the property to the owner. When it comes time to evict a tenant, consider hiring us as your attorney to get the job done correctly the first time. If you don’t understand all of the legal requirements that go along with an eviction, you might want to consider hiring an attorney to represent you and your property in a court of law. 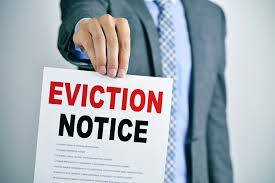 Let us send the proper eviction notice on your behalf, to get the tenant out, and correctly in the eyes of the law. If you’d like the tenant to stay, but want to give them a warning demanding rent payment, we can handle that as well. We’ve had great success in this as a letter from a 3rd party shows the tenant just how serious you are. As a landlord, you must first understand the legal system as it pertains to real estate to experience success in the courtroom. In the Florida court system, if the landlord loses an eviction case, then the landlord must pay the legal fees of the tenant. Before entering a courtroom, you must make sure that your case is entirely in order and complete, or you may be facing an expensive ordeal. Not only will you have to start the process from the beginning, which will make you lose even more rent, but you may have to pay the legal fees of the tenant you were trying to evict, as well. Having an attorney on your side that knows the system will make sure that everything is done correctly in the eyes of the court, and that you have the best possible chance to win the case and successfully evict your tenant. We will do everything legally possible to successfully execute a proper tenant eviction lawsuit to get you your investment back, or to get you the money that is owed you for back rent. If the tenant is not paying rent, then the law is on your side. But, unfortunately, successfully executing the law is where things can get murky, and if done incorrectly, can cost you money at the end of the day. Don’t sit around as money is lost daily, listening to empty promises of non-paying renter. We’re here to help you with a Florida tenant eviction from a property that’s located in Kendall or West Kendall.